When it comes to the loan repayment or study credit, parents take responsibility for this challenging work. In our previous articles, we introduced different kinds of loans, including private loans and forgiveness programs for investments such as public service loan forgiveness. And there are student loans for parents and particular loan and forgiveness programs for students whose parents were served in the military. Moreover, the department of education also creates a chance of loan by the programs like the William D Ford Act for loan forgiveness. Private loans are also one of many options that the primary intention is to facilitate the financing of studies. Student loans for parents are targeting for a particular portion of students. For example, organizations whose development area are public service, they offer loan programs for nurses, lawyers, and teacher. Likewise, Agriculture concentrated parties offer easy loan opportunities for students who study in agricultural faculties. I intend to talk as much as possible about different and helpful student loans for Parents, in this article. Private lenders have some requirements related to cosigners, the party who took responsibility for the borrowed money, and their annual income or Modified Annual Gross Income (MAGI). If the student is a dependent, the parent agrees to pay for his studies. Additionally, there is a federal student loan for parents called, Parent PLUS Loan. Before delving into particular types of student loans for parents, let’s understand what makes parent loans and cosigning of loans. Students in college need someone to be a “cosigner” for them. Particularly, if they are younger enough not to take a loan before they are not qualified for the loan directly. Because everyone wants to pay to someone who can pay it back. In cosigning case, both a parent and student have a credit amounted to the lending money. Making payments before their deadlines and satisfying the provider makes both of you seem like someone with positive credit history. Negative feedback of you or paying after the deadline can shadow on both of your future credits. The Citizens Bank offer loans for fixed rates, as well as variable rates. Taking money from Citizen Bank can cause you approximately $650 fee-saving. Prices of this bank are 0.5% less, and it is considered as a discount. The amount of the loan varies between $100.000 and $150.000 for undergraduate students. Professional workers in the healthcare system can get up to $350.000. The selection process for the loan is competitive, and your previous payment history plays a role. If you do not have any past credit experience, I would suggest you to find someone, usually that someone is one of the parents, with successful payment history. If your cosigner pays for 36 months for the loan, then you can discharge that person from paying instead of you. Being the US citizen, enrolled for at least half-semester, having a cosigner with no younger than most of the residents of your state is an eligibility criterion for Citizens Bank Private student loan program. College Ave is another organization who meets the financial burdens of the college students. In the homepage of this party, there are four kinds of loans indicated for four different categories of people, undergrads, grads, parents and career loans. The company offers a customized plan for parents. They declare that they are ready to provide up to $2.500 of the amount you can borrow so that to help you in buying books, or any other university-related materials. The interest rates are two types, variable and fixed. Fixed interest rate if between 6.6 % and 11.6% and the amount covers all auto-pay payments. The variable interest rate is no less than 5.34% and does not exceed 10.2%. The repayment duration for the College Ave is 5-15 years that you should not hesitate about repayment. Payments are long-term mediated. It means paying more in a month can reduce the number of months to make a refund. This loan can cover books and additional materials. The interest rates for the variable form are between 4% and 11.32%, for fixed rates can be ah higher as 12.8%.  The provider facilitates the repayment process for students with an undetermined period. Depends on how much you pay, your loan repayment can take from 5 years to 15 years. 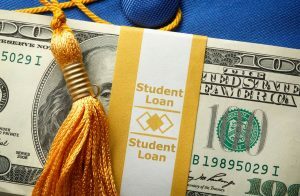 This is another type of student loan for parents that is private but sees an outstanding public appreciation. The company offers 13 loan types, from kids to graduate students. This program is for parents or caregivers who want to contribute to a child’s education but do not have enough money. The company guarantee that 100% of your child’s university fees will be met and after enrolling and making the first auto-debit payment you will get a 0.25% decline in your credit. Another great thing with the Sallie Mae student loan is that they do not ask for origination money. So if you paid ahead, you wouldn’t pay more. Both variable and fixed interest rates change between 5% and 13%. With 15 years of repayment time and six months of a grace period, this loan program is the most of the students’ priority while choosing a loan program. Interest rates do not exceed 10.25% percent at all, while variable interest is starting from 4.5%. Depends on which repayment method you choose the Sallie Mae offers you changing opportunities. For your interest, if you want the interest repayment method, you will only pay for your interest rates during the school. After graduating, you are obliged to pay for both interest rate and principal loan. For more surrounded information, the Sallie Mae employing a server that is designed for your comfort. In this case, the parent takes most not all of the responsibility for the money. If you agreed with the child paying some amount of money to the university instead of him, be careful and attentive always that if one day they avoid paying, you will be responsible for the entire amount. Unsuccessful history for the Parent loan does not influence on the child’s credit. The loan is designed for parents whose children are studying in bachelor degree. It is more secure than other loans in a way that its interest rates are fixed and parents do not concern about changing rates and accruing after a while. The minimum credit for a student is half-semester enrollment in a qualified school. $40.000 is standard money that parents take a loan for the study of their dependences. The MAGI is considered there as well, so that parent should earn more than annual payment plus other expenses. The credit you have taken should not be “adverse.” To know about the “adverse” credit, here is the complete explanation. The child should be dependent on either his biological parent or the one who takes custody of him. As every federal student loan, the college determines the amount of money you can borrow.